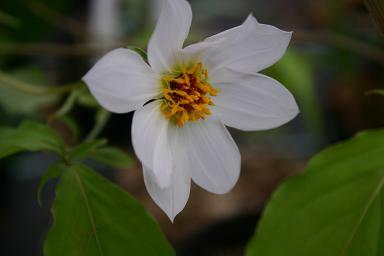 A cutting of Dahlia merckii in the greenhouse has surprised me by rushing up into flower. It is rather pale as a result but it has plenty of time to darken. 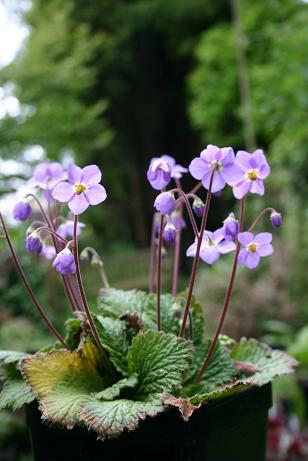 It should keep flowering until the first frosts of autumn , by which time I will probably be heartily sick of it, so I'm enjoying it while it's fresh. 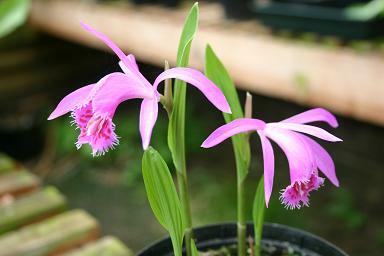 The Pleione have been spectacular this year, but are mostly coming to an end now. Fuego flowered well last year and I thought it was going to skip this year, but it has performed well. I got this from a nursery in the USA in 1980. I thought it was a fabulous thing then, and I think it now. 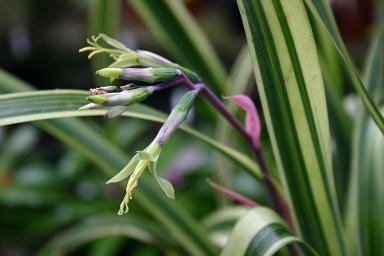 It doesn't produce a lot of flower for me, and it is rather pale, but it has charisma (and staying power). Looking fantastic at the moment. I decided a few years ago that I should start some serious breeding work with Ramonda, and duly pollinated a lot of flowers and collected a lot of seed but so far I have been lamentably inept at raising the seedlings! Some further investigation required.